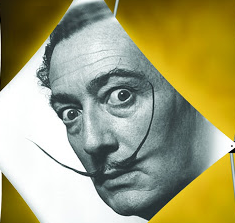 and whatever you don’t have time to do. 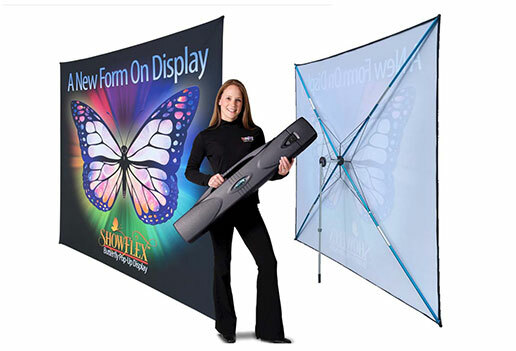 For highest image appeal, frequent, high-traffic applications. 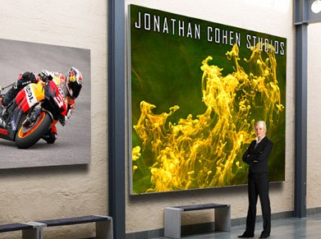 grand openings, for short-term test marketing, and lowest investment. 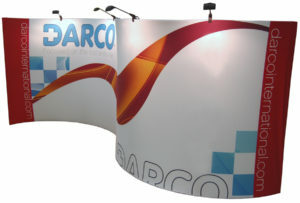 A heavy duty version of the Fabric Tension Tube. 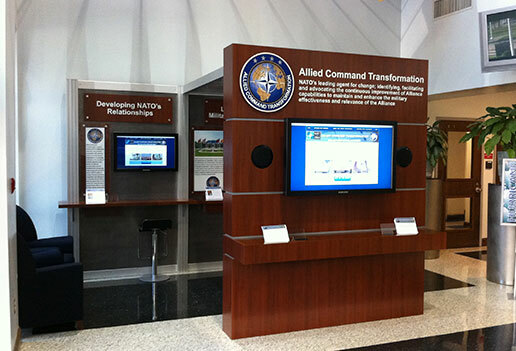 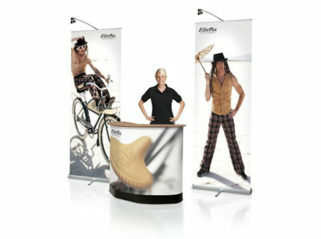 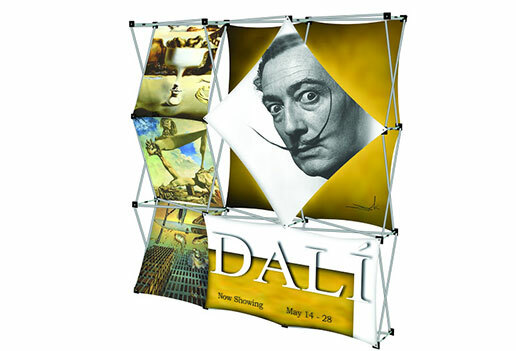 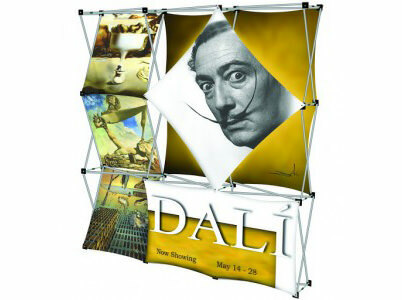 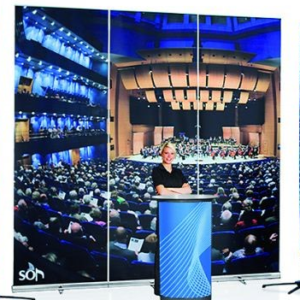 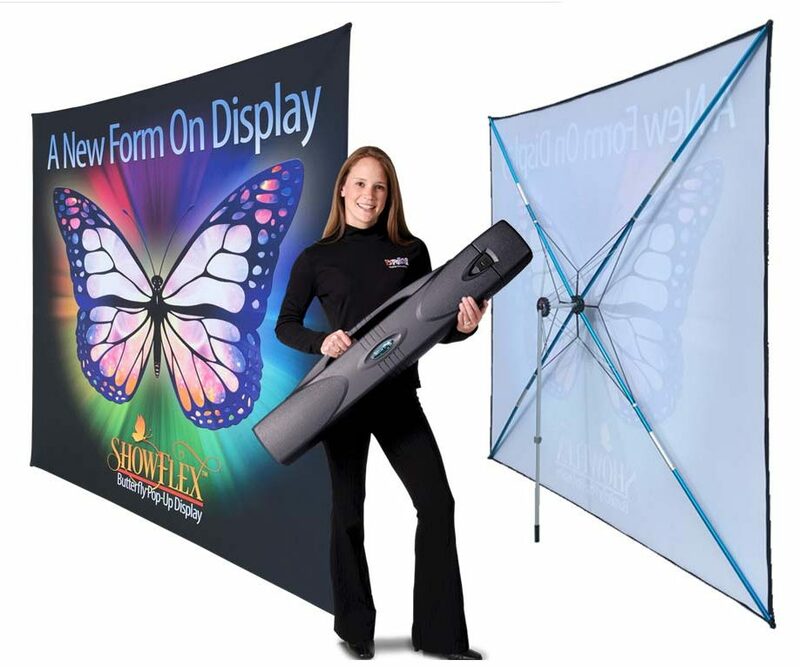 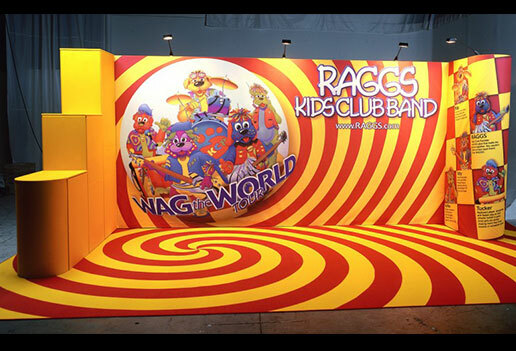 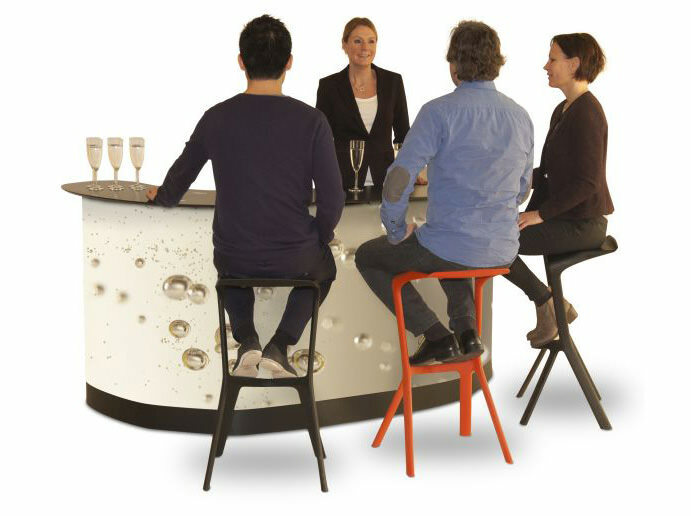 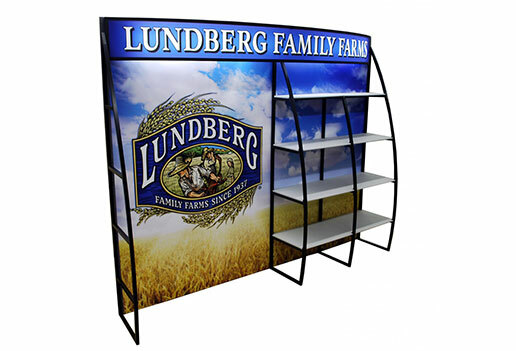 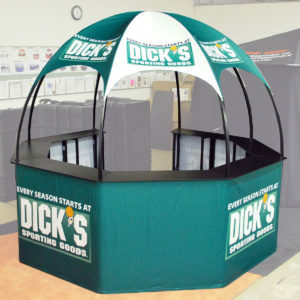 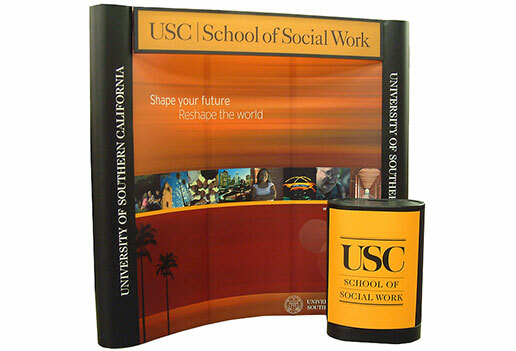 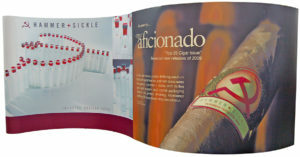 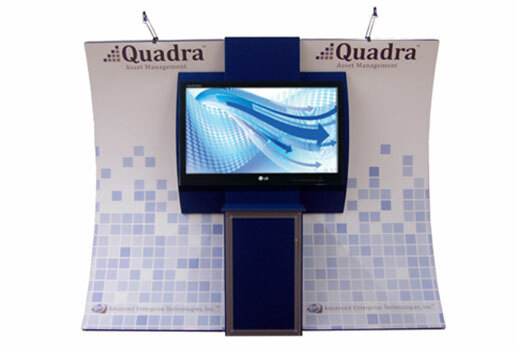 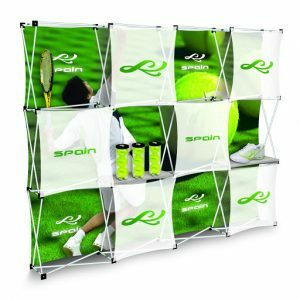 The display employs a heavier frame for fabric graphics stretched over the frame. 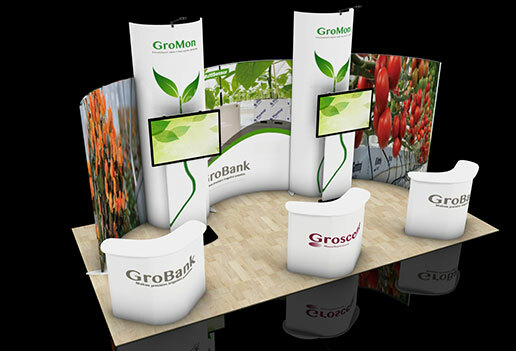 Because the modular frames can be reconfigured for multiple space needs, the Grand Fabric Frame can expand and grow as your needs grow and change. 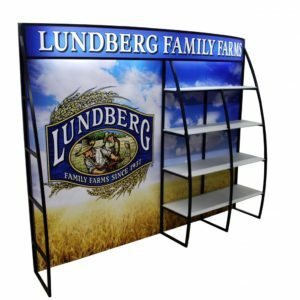 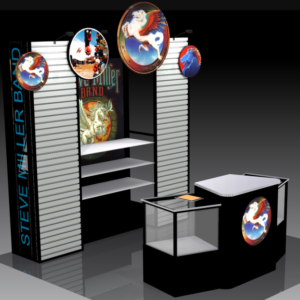 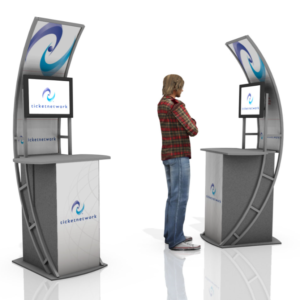 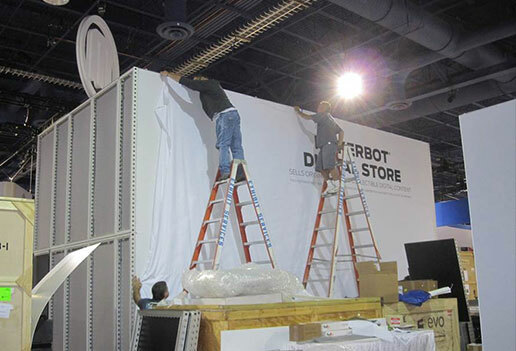 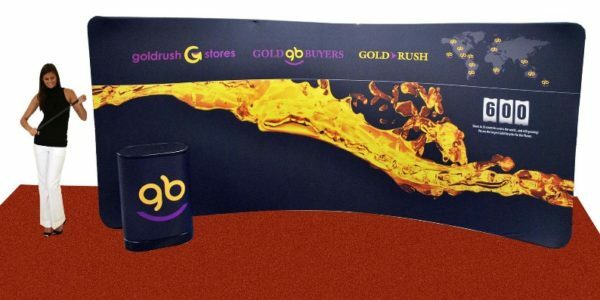 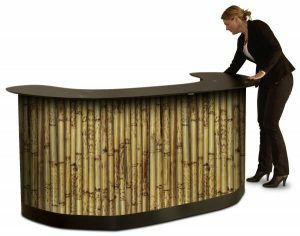 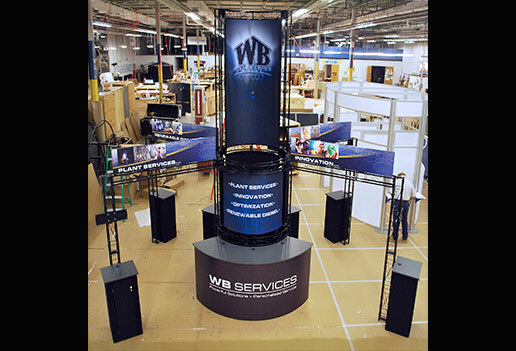 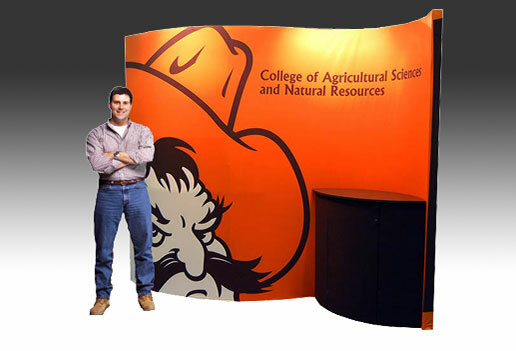 It is easy to setup, is easy to change graphics on part or all of the display, is compact to transport in shipping cases that convert to a demo and storage podium with graphics. 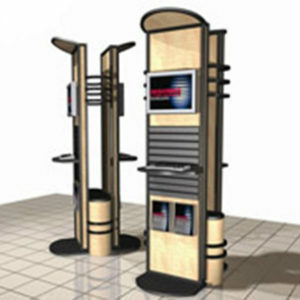 And, the system is very eco-friendly. 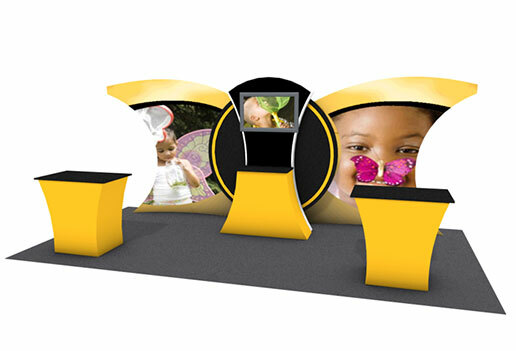 Give us your budget and requirements for a free design. 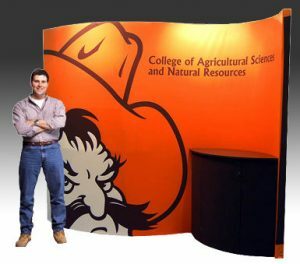 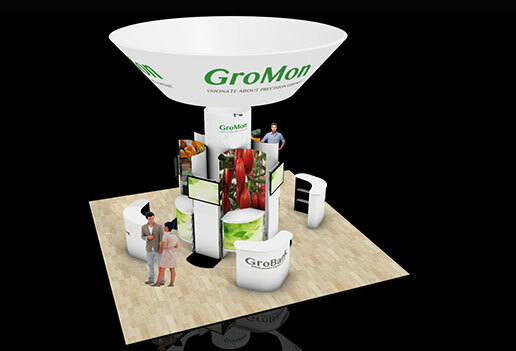 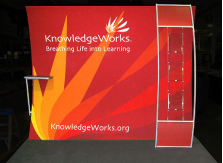 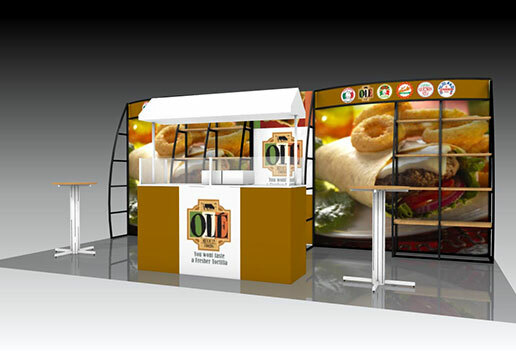 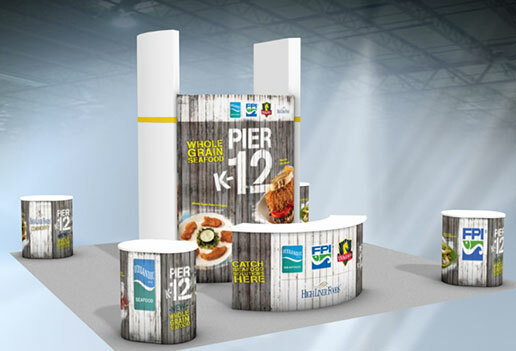 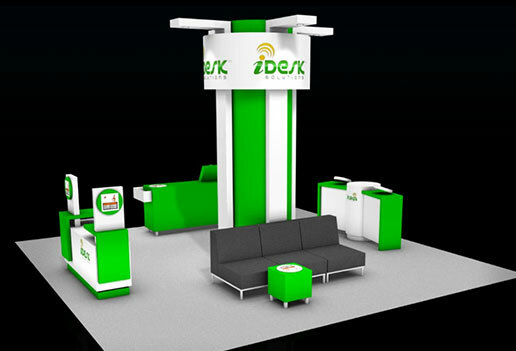 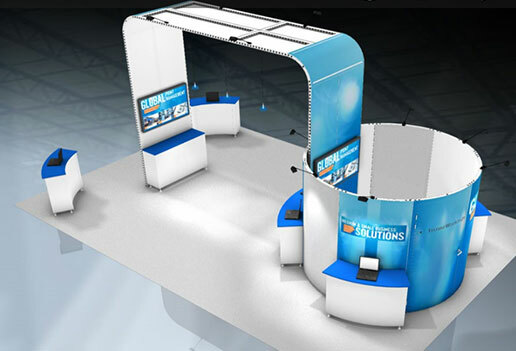 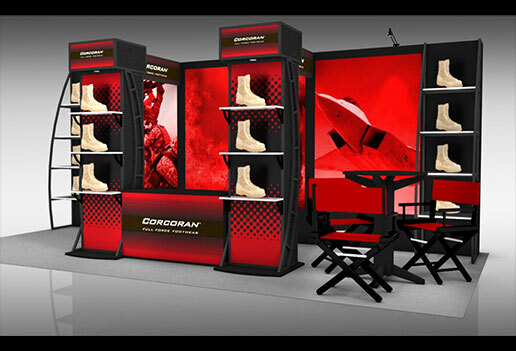 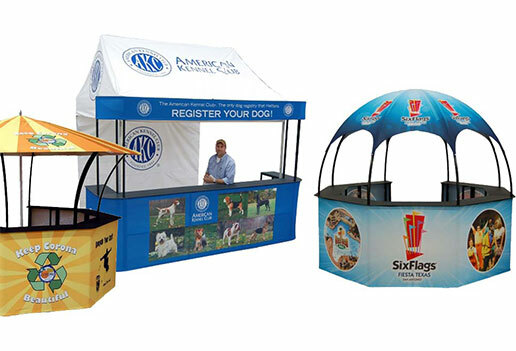 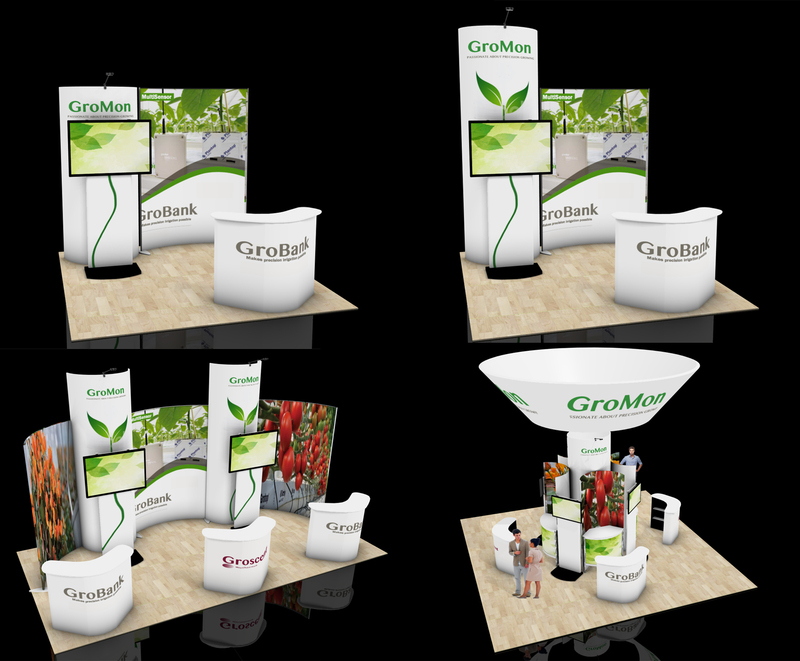 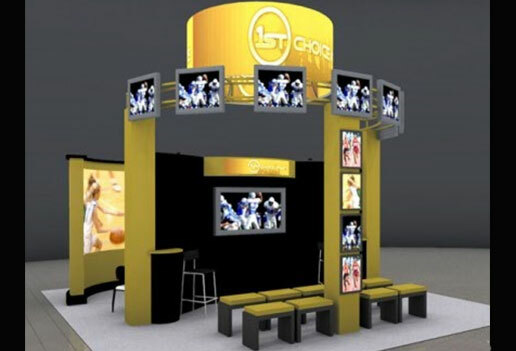 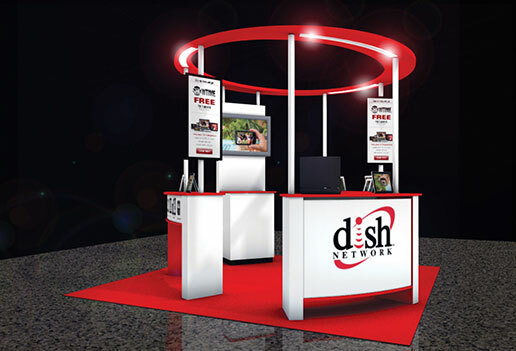 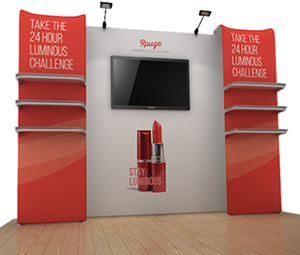 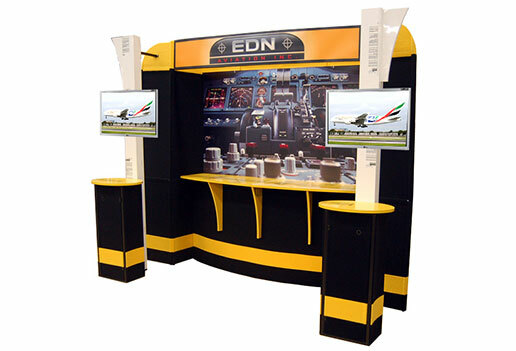 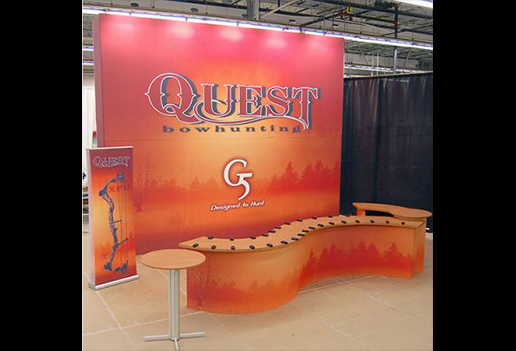 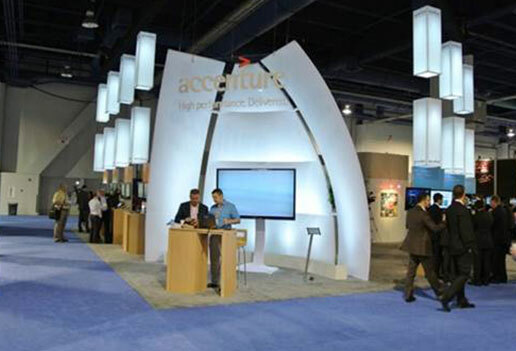 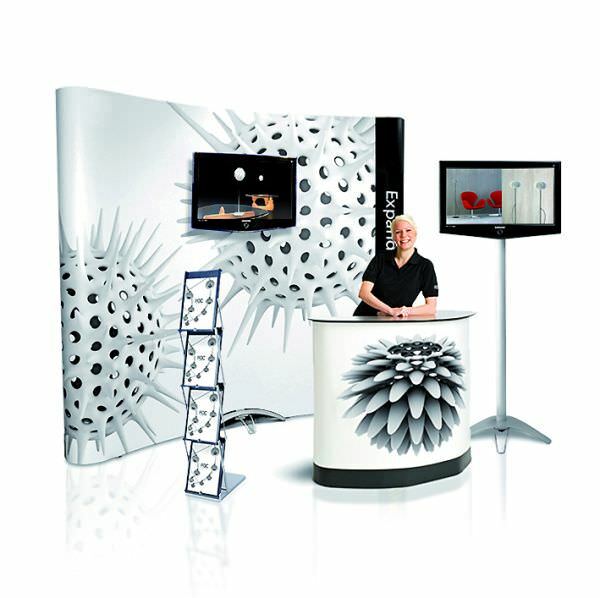 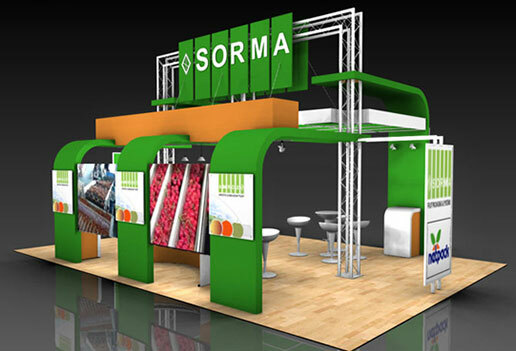 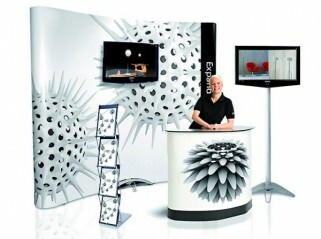 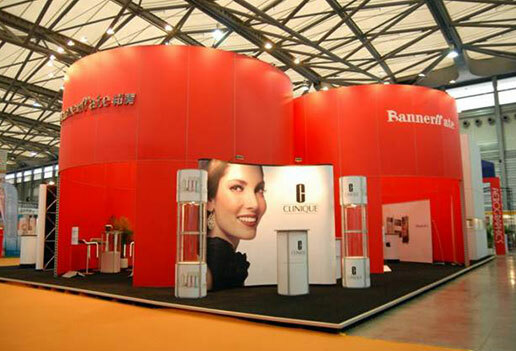 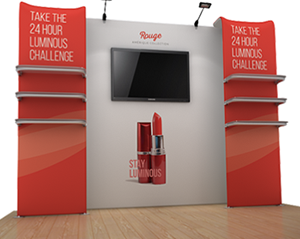 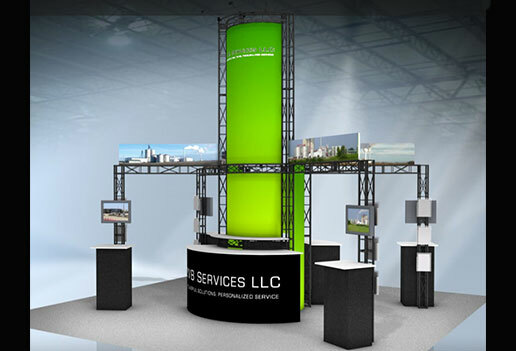 For your custom needs, the EyeKon Group can help you develop your exhibit strategy and your exhibit. 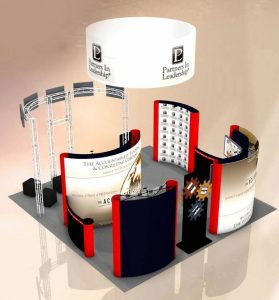 Call your personal project manager to plan your event or Request a Quote. Free design most projects. 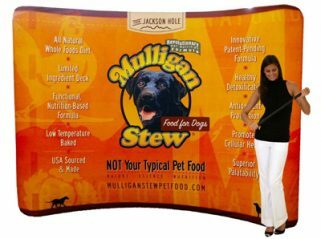 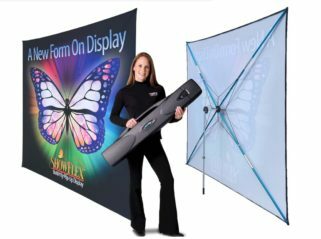 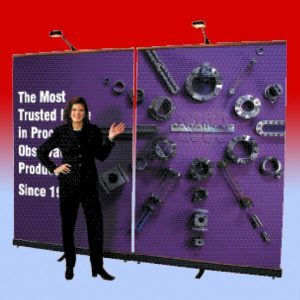 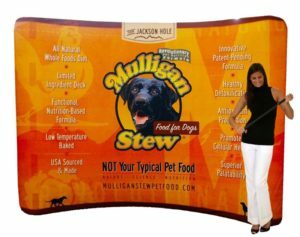 During all the years I worked trade shows, there was always one or two exhibitors whose message was seared into my mind, and the message traveled back home with me, forcing me to follow up for more information or to purchase. 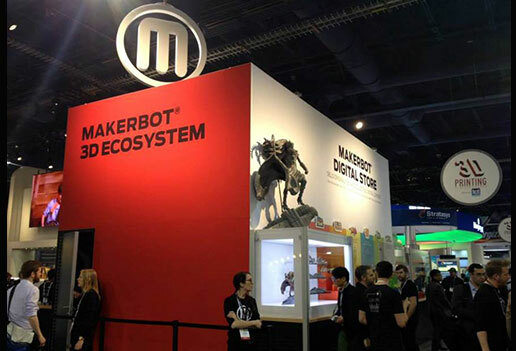 These were the disruptive companies who stood out from the crowd. 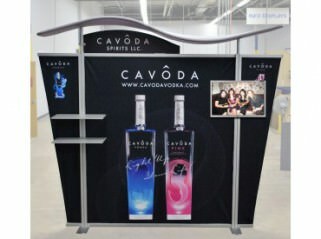 This is the kind of company we want to send to a trade show as our client. 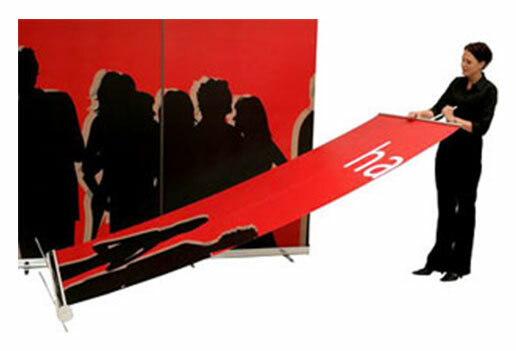 Being disruptive doesn’t mean breaking the rules, often it just means breaking tradition. 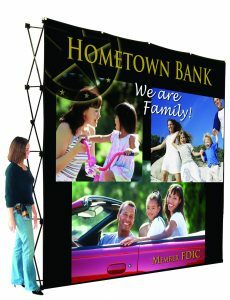 Even the most traditional company wants to be remembered, to be branded as cutting edge, to break the mold. 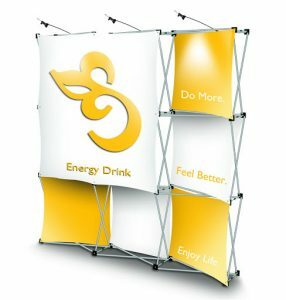 You can’t achieve this by being visually and graphically conservative. 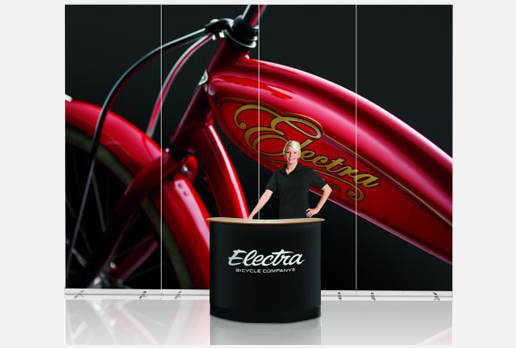 You’ve got to be disruptive. 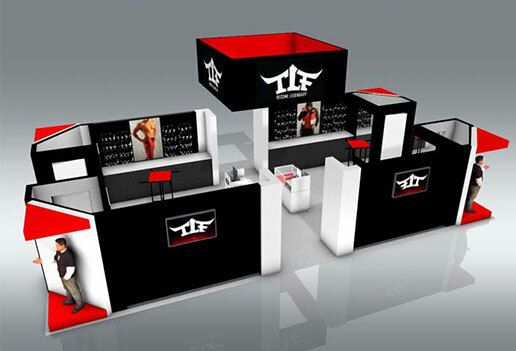 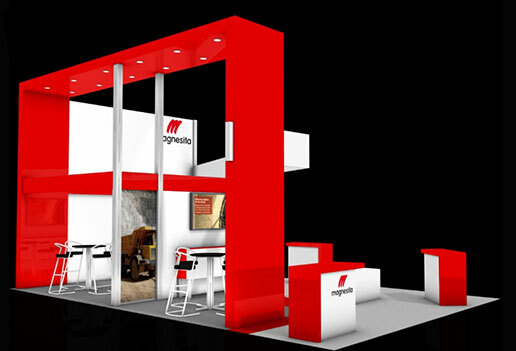 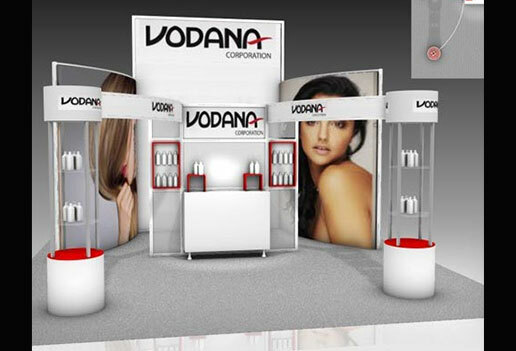 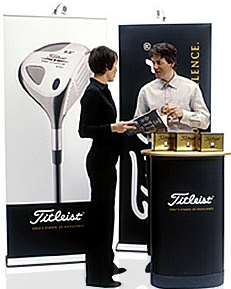 We want our exhibitors to break the mold, to be the company that travels home in the mind of the trade show attendee. 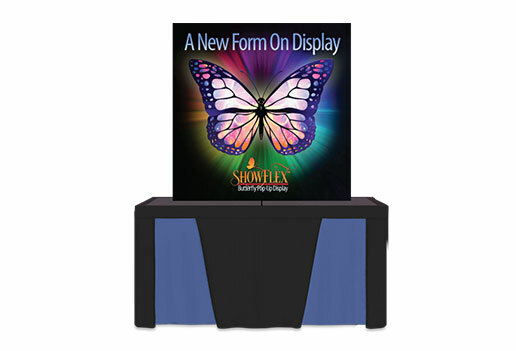 Display & Features to match your needs.